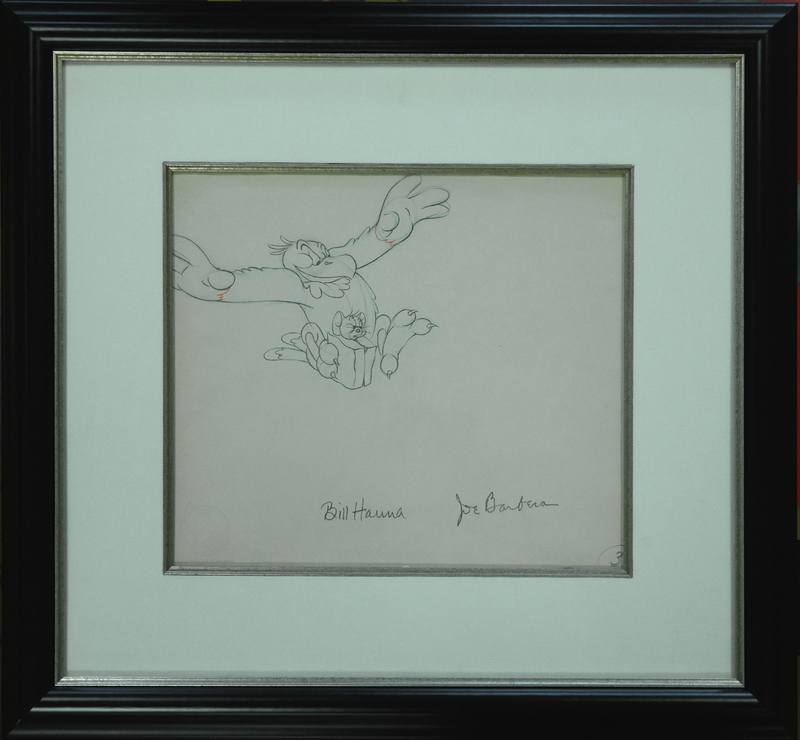 This is a production drawing featuring Jerry and used in the production of the Tom & Jerry short, Flirty Birdy (1945). The drawing is framed and the mat opening measures 10" x 11.5". 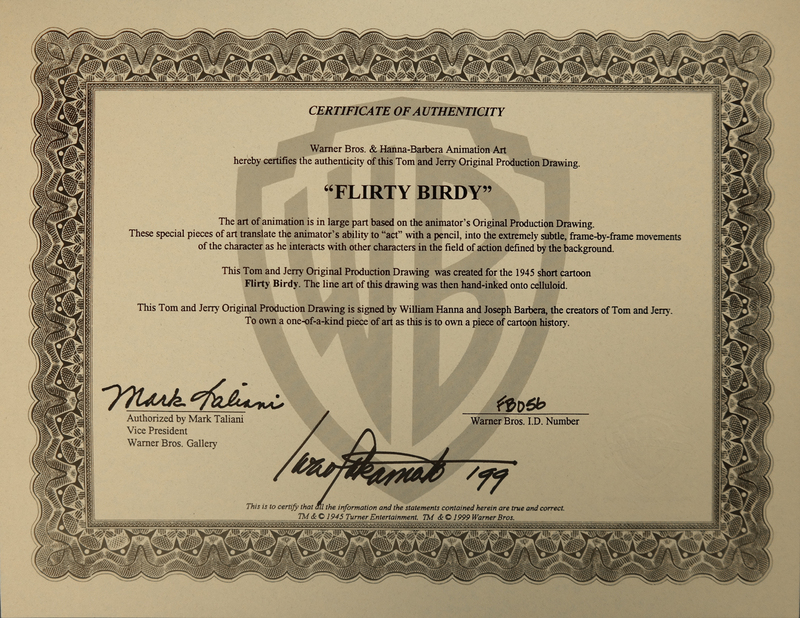 The image measures 5.5" x 7.5". 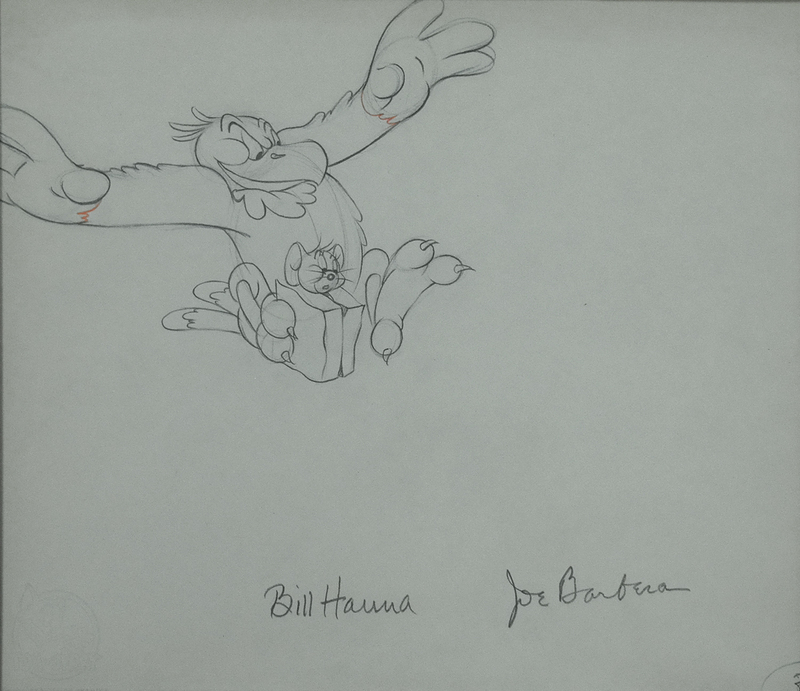 The original studio COA is included and is signed by Bill Hanna, Joe Barbera, and Iwao Takamoto.